LYNCHBURG, Va. - After five months of being held in captivity for ransom by Muslim militants, Kevin Lunsmann will be heading home to the U.S. just in time for the holidays. According to police officials, the 14-year-old was released, but his family says he escaped his captors and survived two days in the jungle before finding safety. Heiko Lunsmann, Kevin's father, told WSET-TV that his son is a hero. "Nobody in the world has any idea how I feel, and I am so proud of my son," Heiko Lunsmann said. 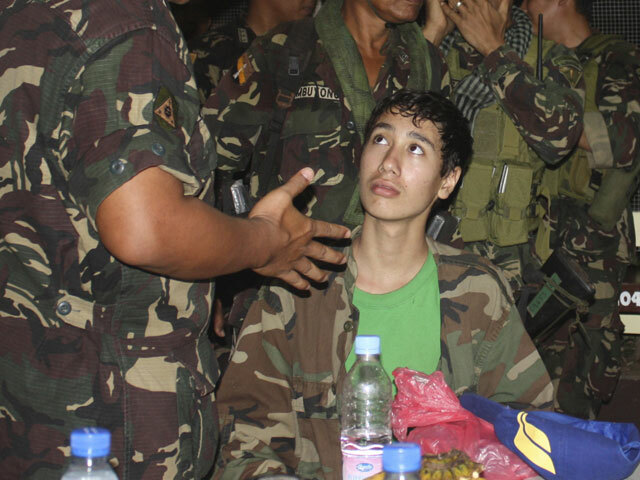 Kevin, his Filipino-American mother, Gerfa Lunsmann, and 19-year-old Filipino cousin, Romnick Jakaria, were vacationing in the Philippines when they were kidnapped by Abu Sayyaf militants near Zamboanga City in island of Mindanao on July 12. His mother was released and his cousin escaped, but Kevin was only able to make his break on Saturday. His father told WSET-TV that his son heard the captors talking about offering him for a ransom of $10 million. According to his family, Kevin tricked his captors by earning their trust and then asked permission to go to the river and bathe. When he was alone, he ran through the jungle without shoes. After two days, he was rescued by Filipino villagers. CBS affiliate WDBJ in Roanoke, Virginia reported that Kevin is currently in a Manila hospital recovering from bruises and dehydration, but should recover. His father expected his son and wife home in a week. Some of Kevin's family friends spoke to WDBJ. His best friend, Zach Gowan, had a short message for him: "We've missed you a lot. We've been praying for you and we're glad you're out and can't wait to see you."